The West Indies cricket team notched up a historic treble at the ICC events this year by winning the u-19 World Cup, women's World T20 and men's World title in the shortest format. The men's cricket team also became the only team to have won the title on two occasions in the short World T20 history. The celebrations in the Caribbean are soaring with DJ Bravo's 'The Champion' becoming a party anthem. Amongst popular figures from West Indies joining in the celebrations, Jamaican sprinter Usain Bolt, too, celebrated the proud moment by sharing his dance video on social media. Bolt, the first man to hold both the 100 and 200 metres world records, was seen dancing to the tunes of the Champion song in the video. Throughout the 'unofficial' West Indian victory song, Bolt recorded himself saying: "Marlon is champion, Samuels is champion, Carlos is champion, Bravo is champion, Gayle a champion and West Indies is a champion." But as the video winds down, Bolt can be heard saying 'Gayle is a loser' as he begins to laugh at the camera. Bolt's comments could be a side blow to the West Indies opener who failed to shine in the tournament. 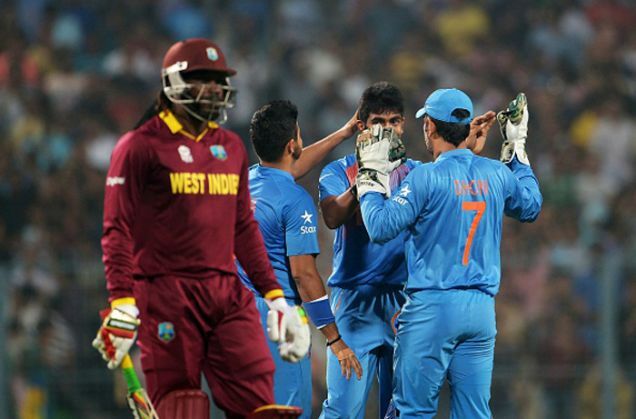 Barring his 47-ball 100 against England in the Super 10 stage, Gayle missed out in the crunch matches for his side. His scores in the next four games read: DNB, 4, 5 and 4.